The first summit of the world’s most industrially advanced economies was held in 1975, when French President Valéry Giscard d’Estaing invited the Heads of State and of Government of the Federal Republic of Germany, the United Kingdom, Italy, the United States and Japan to Rambouillet to discuss the economic and financial crisis triggered by the oil shock of 1973-1974.The style and format of the talks at Rambouillet set the tone for the way the Summits continue to be held today, based on leaders adopting a relaxed approach with one another, discussing issues with candor and addressing the main themes on the international agenda. Meetings are brief and venues intimate. The leaders’ trusted aides (the so-called “sherpas”) draft the text and the resulting joint declaration, signed by the participating Heads of State and of Government, enshrines high level political pledges. The “spirit of Rambouillet” persuaded US President Gerald R. Ford to convene a second meeting, in Puerto Rico, in 1976, during which the group formally welcomed Canada among its members, whence its original title: the Group of Seven, or G7. The next summit was held at the British Prime Minister’s residence at Number 10 Downing Street on May 7-8, 1977. 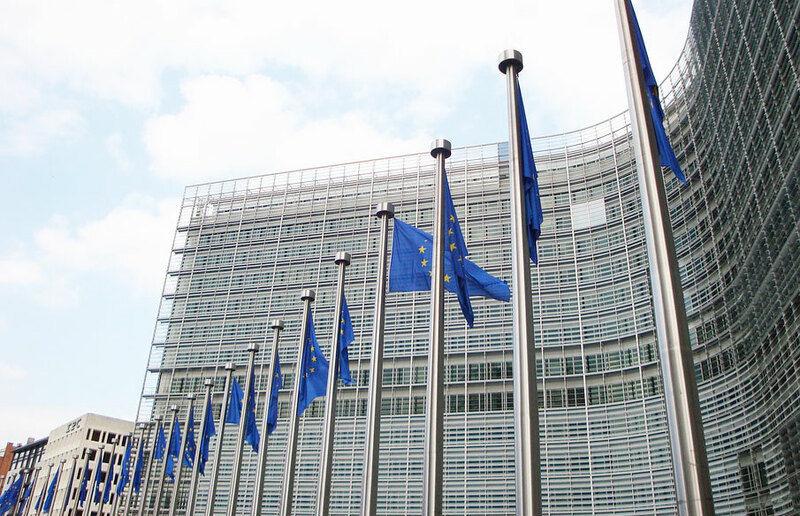 The fact that Britain also held the European Council Presidency at that time allowed it to invite the then European Economic Community, which attended the debates on the second working day. The seven leaders meeting in London pledged to contribute to the planet’s economic growth, to impart a fresh boost to employment, to cooperate more closely in international organizations, to increase and diversify the production of energy and to support international trade. Twenty-one years after the London Summit, Russia became a member and thus, in 1998, was the “Group of Eight”, or G8, officially established. 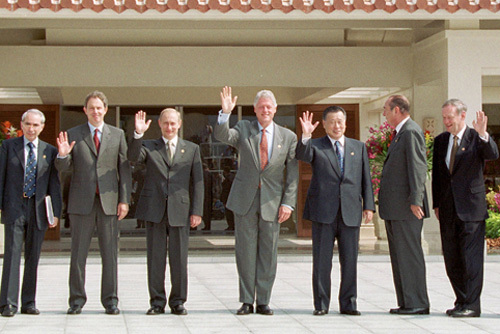 The 1990s witnessed the expansion of the program, when the eight Heads of State and of Government started including on their agenda major global, multifaceted, transversal issues such as climate change and education, as well as more technical issues such as the struggle against pandemics or against transnational crime. The custom of holding Foreign and Finance Ministers’ Meetings separate from the Heads of State and of Government Summits began in Birmingham in 1998. The subsequent summits – in Cologne in 1999 and in Okinawa in 2000 – consolidated the similarity in the leaders’ outlook on the world’s major economic and political issues. 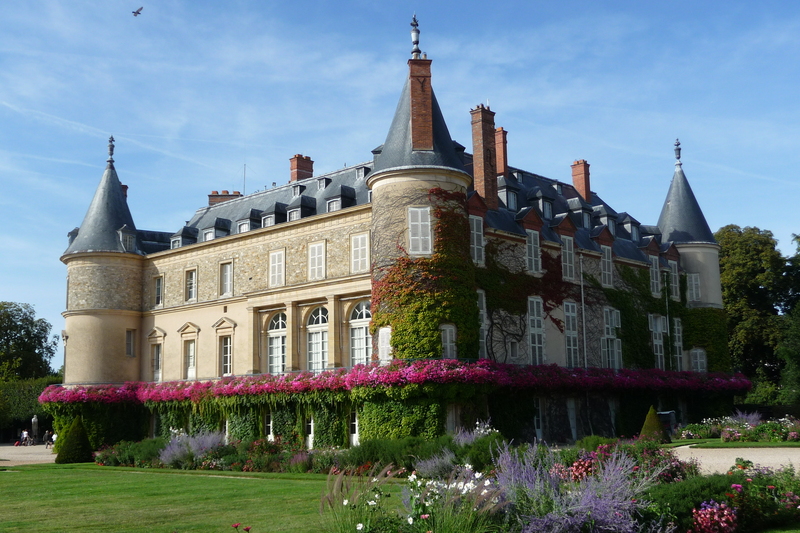 These were the years that marked a return to the original “spirit of Rambouillet”: the eight countries shared national economies of a similar size, a high level of economic and institutional development, full convertibility for their national currencies, and a deep commitment to the aims and principles of international cooperation. Finally, in the run up to the new millennium, the first thematic Ministerial Meetings began to be convened in response to the need for a more in-depth, technical approach to the major international issues under consideration by the G8. The Italian Presidency inaugurated the traditional “African segment” at the Summit in 2001. In fact, it was in Genoa that the New Partnership for African Development was introduced and, in parallel with the leaders’ discussions, the emerging economies and countries of the Middle East have been attending the talks ever since. After hosting representatives from Algeria, Ethiopia, Ghana, Nigeria, Senegal, South Africa and Tanzania at Gleneagles in 2005, a structured dialogue got under way at the 2007 Heilgendamm Summit between the Group of Eight and several of the emerging economies (Brazil, China, India, Mexico and South Africa) on such issues as investments, energy, innovation and development. The process was completed under the Italian Presidency in 2009. The turbulence on the money markets that began in 2008-2009, the serious consequences occasioned by the rocketing prices of raw materials and the systemic spread of the economic and financial crisis more recently led to the gradual acceptance of the G20 as the “chief forum for our international economic cooperation” (Final Communiqué of the G20 Summit in Pittsburgh, held in September 2009). Consequently, the G8 Summits’ agenda has shifted to focus more on issues of global import and of a predominantly political and cross-cutting nature. Nevertheless, the Group has never abandoned its original commitment to bolstering economic and financial governance. 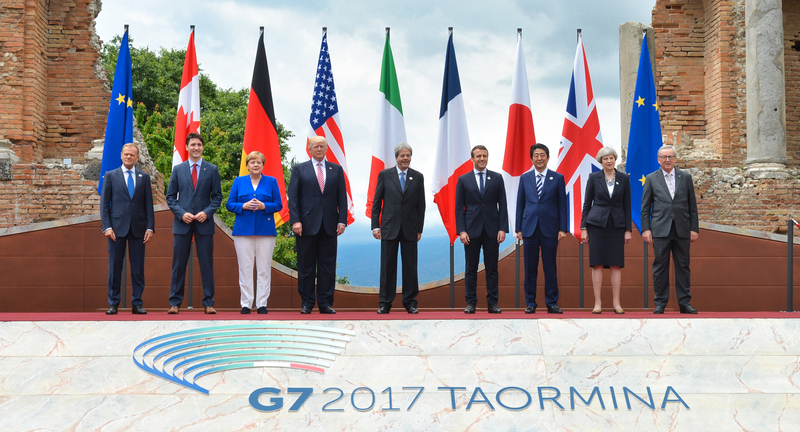 The Group returned to the G7 format with Russia’s suspension in 2014. Thirty years of activity prove that the G7 serves as a forum for countries that share basic common values and that are committed to addressing global political and economic issues at a high level. Debate and harmony among the Group’s members are the key factors in its success, demonstrating that the successful intuition that led to the establishment of the forum in the mid-1970s remains as relevant as ever today. The European Economic Community (subsequently the European Union) was invited to attend the G7 Summit for the first time – as a non-enumerated member – by the British during their 1977 Presidency. The Community’s role was initially confined to the exclusive spheres of authority assigned to it by the Treaty of Rome: farming and trade, for instance. As of the Ottawa Summit in 1981, however, the European Union began to take part in all of the debates. While it never formally holds the Presidency, it nevertheless hosted the G7 Summit of 2014 in Brussels following Russia’s suspension from the eight-member format.The EU is represented at Summits by the President of the European Commission and, since 2009, also by the President of the European Council. It is also customarily represented by the appropriate Commissioners according to the issues being addressed and to the level of participation at the attendant technical meetings.The High Representative for a Common Foreign and Security Policy attends the Foreign Ministers’ meetings.